Geocoin and corresponding pin to celebrate your or your friend's geocaching milestone. Packed in a white box with a transparent lid. 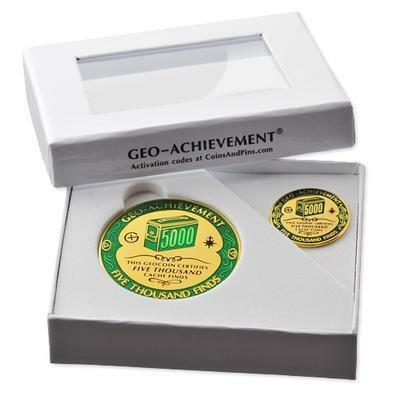 Engraving geocoin - we can engrave geocaching nick or other short text. 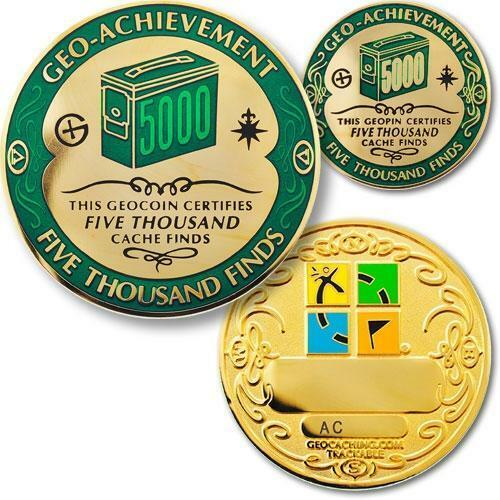 Coin diameter 44 mm, pin diameter 25 mm.Trackable at geocaching.com with its own icon.